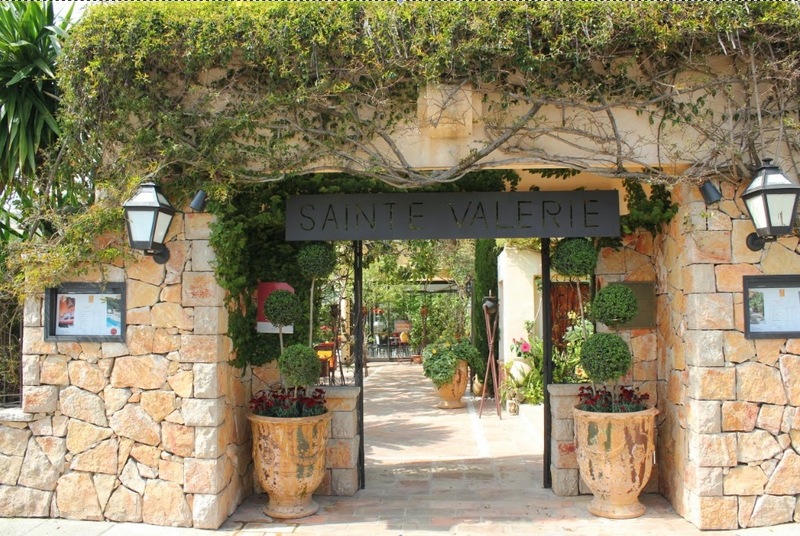 If you're heading to the South of France this year, here are a few places you may like to consider staying. 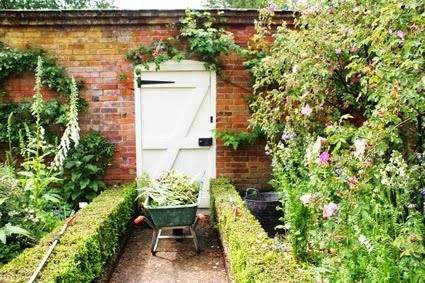 Garden lovers will be in horticultural heaven at this lovely place (above), which is a garden disguised as a guesthouse. 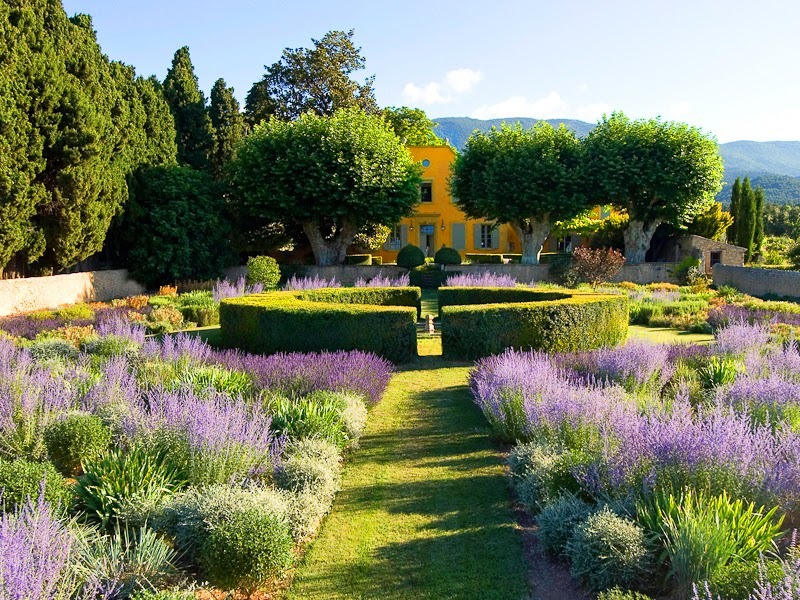 Owned and restored by French photographer Guy Hervais and his wife Bibi Gex, this former 18th-century hunting pavilion in the dramatic Luberon region is so beautiful that it was awarded a Remarkable Garden status by the French Ministry of Culture and Environment. A wonderful experience, in any season. 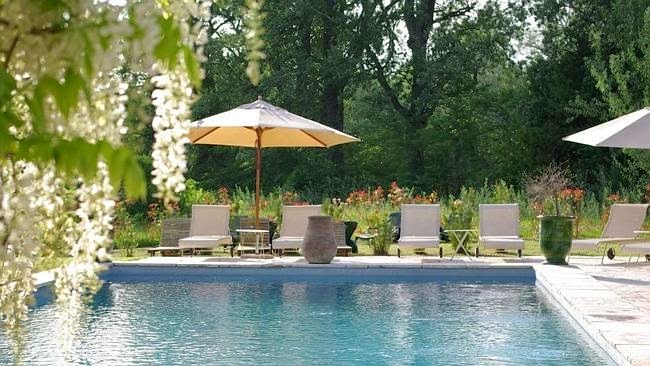 If you are seeking the perfect Provençal guesthouse, this might just be it. A former mill in a stunning river setting, it's owned by Poppy Salinger, widow of John F. Kennedy's former media adviser Pierre Salinger, and her library is full of photo albums of JFK and Jackie in all their Camelot glory. The grand guesthouse has an intimate feel, thanks to all the personal photos and books, and Poppy is a sublime hostess who makes you feel like family the moment you walk in the door. 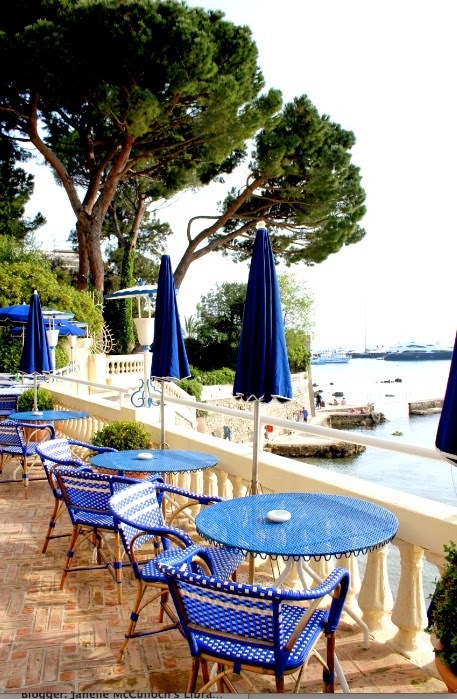 It's difficult to find a reasonably priced hotel on the French Riviera, especially in summer, and even more difficult to find one close to the beach with a degree of style. Behind the pine tree-lined park on the beach at Juan-les-Pins, this quaint guesthouse is slightly Fawlty Towers, but has charm in (beach) bucket-loads. 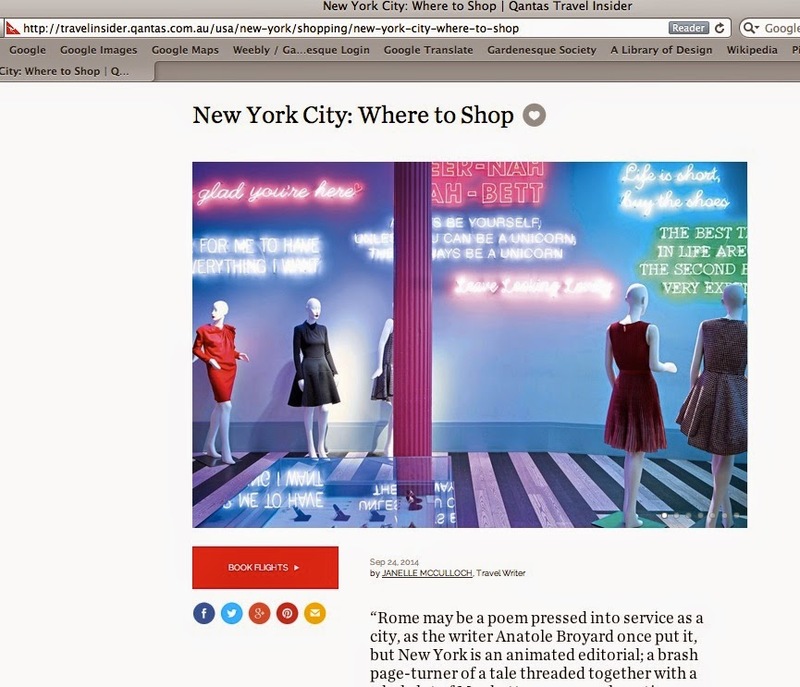 When Conde Nast Traveler starts crowing about a place, you know it must be special. 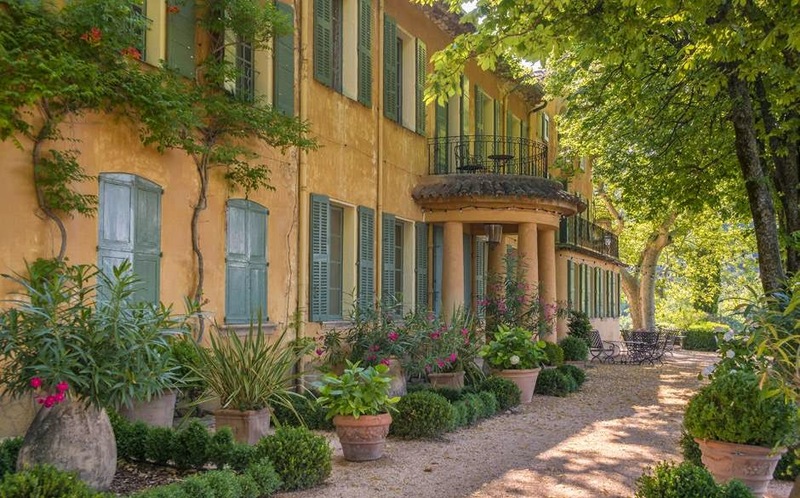 This hotel, owned by "the Martha Stewart of France", is an 18th-century manor house near the pretty village of Tourtour, and sits so well in its surroundings it almost looks like a painting. 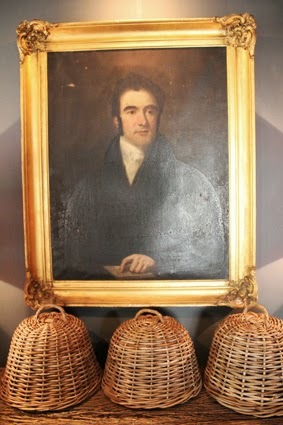 (No surprise its former owner was painter Bernard Buffet.) With an ochre facade and sky-blue shutters, it looks blissfully at one with the open Provence skies and landscape. I loved the idea of this when I first read about it – a hotel created from an old cinema. Then I saw it and realised the owners had done a cinematic job restoring it. Easily spotted by the grand facade, it features an equally stylish interior that continues the visual theme with walls of interesting photography. The terrace is a chic place for drinks, and the pool has a view of the Alpilles. This one is for design lovers – the owner's wife is an architect and good lines are evident in everything from the building to the interiors. The kitchen garden supplies produce for meals and the in-house chef loves using its ingredients to create new and unusual dishes. 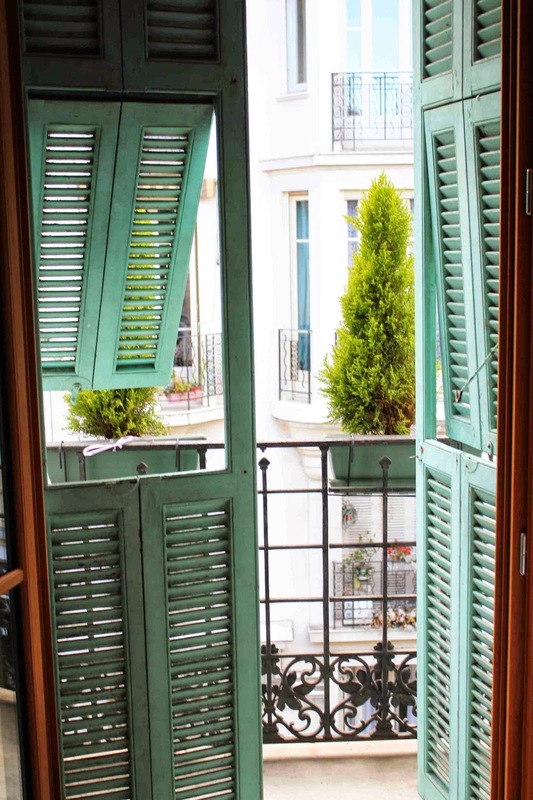 L'Hotel Particulier is the epitome of a Provence hotel, from the entrance (an elegant black door with gilt knockers and black Versailles planters either side) to the interior (all-white rooms with ornate fireplaces and touches of gold and black). 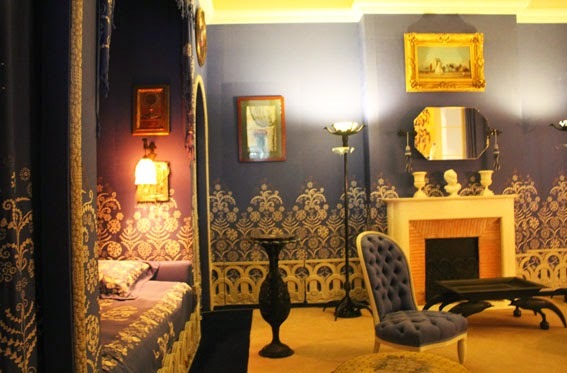 The hotel was originally an aristocratic townhouse built in 1824 by the then mayor of Arles. It was converted to a hotel in 2002, and has never looked back! Set deep in the heart of Provence, this splendid guesthouse makes you feel like you're staying with a very chic, very wealthy French aunt. 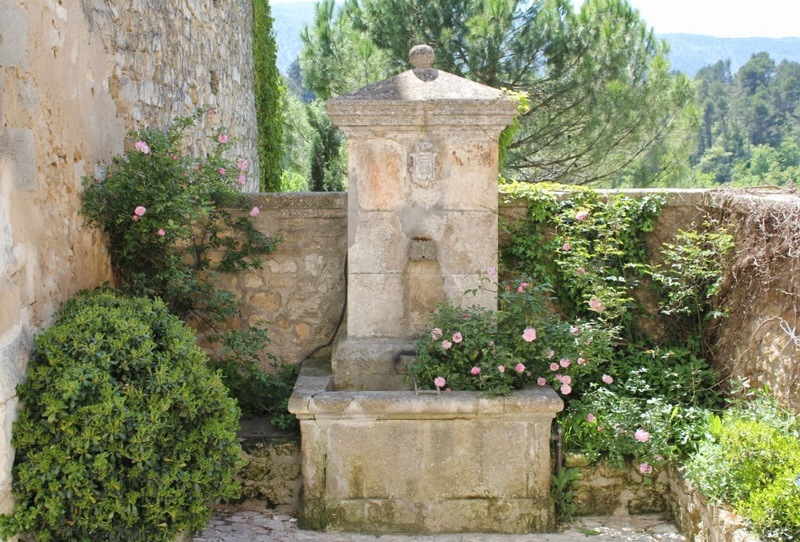 Surrounded by vineyards and hills and a charming garden of pretty parterres and pencil pines, it's tailor-made for relaxing. A graceful allee of plane trees leads to this serene Directoire-style mansion built for Napoleon's sister, Pauline Borghese, who was famous for her romantic escapades. It is still romantic, thanks to the care of its owners, who have created a superb guesthouse out of Pauline's old love shack. Pavilion de la Torse looks like something you'd see in a French film about a couple who find an abandoned house deep in the countryside and lovingly restore it – a picture-book house with a facade the colour of egg yolks, shutters the shade of geranium leaves, and a garden of pure charm. Villa Gallici has flipped Aix's traditionalism on its head. This lavish hideaway is the kind you'd ask your lover to book for a sly rendezvous. Everything here is designed to be indulgent, from the discreet service to the dramatic interior design, which is a mix of Marie Antoinette-ish fabulousness and modern luxe. Avenue de la Violette, Aix-en-Provence; villagallici.com. I removed this post and put it to one side, as I wasn't sure it was my story to tell. 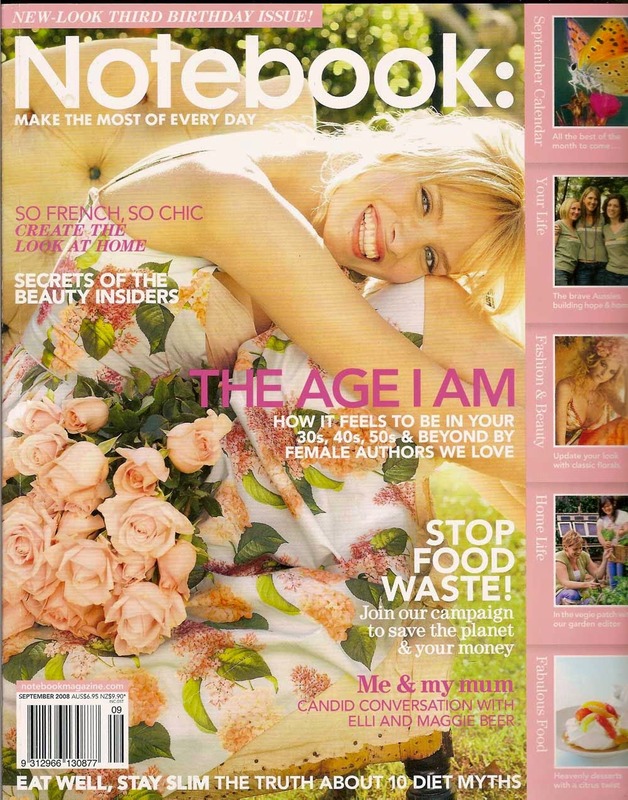 But the Women's Weekly magazine has just published a lovely tribute to Caroline Roessler here – link. Hindsight is a curious thing, isn't it? Often, it's only when we looked back on life that we realise how lucky we've been; how the people we've met have shaped our lives in ways we couldn't have foreseen. Fourteen years ago I was given a job on a Melbourne magazine. 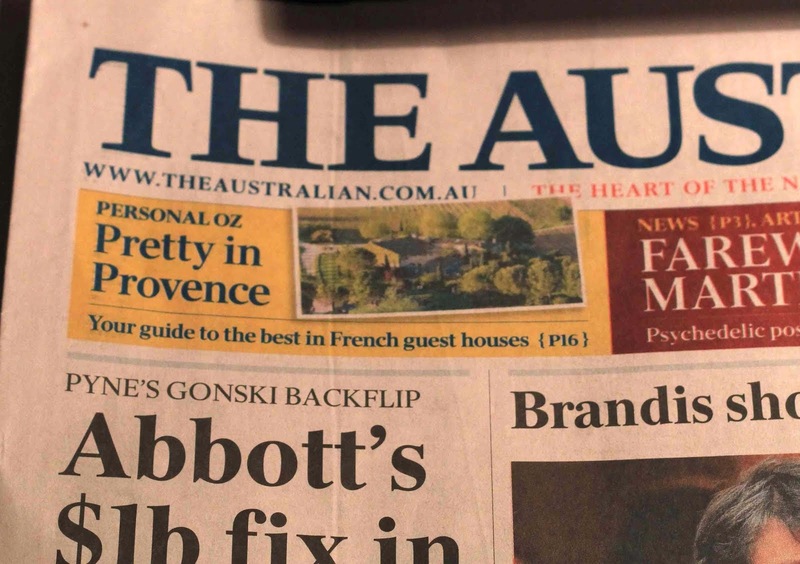 It was a tiny editorial team – a "one-hand band" as someone dubbed it – of half a dozen people that included Matt Preston, in his first role as a restaurant critic. TV critic Melinda Houston was there too, alongside Virginia Imhoff, who's now the Victorian Editor of Country Style magazine. I was the junior journalist, and I remember thinking in my first week, as I read the brilliant copy the others effortlessly typed out in less time than it took me to make a cup of tea, that I had a lot to learn. Our editor was a woman called Caroline Roessler (above). She was an incredibly beautiful person, but her looks belied a tough interior. The only other editor I've ever admired as much was Alison Boleyn on Sunday Life magazine, who once told me, in a kind but firm tone, to "go back to the stables at Flemington and smell the muck", meaning I had to not only rewrite the cover story on the Melbourne Cup but actually get up into the haylofts and down into the manure piles to really understand the place I was writing about. 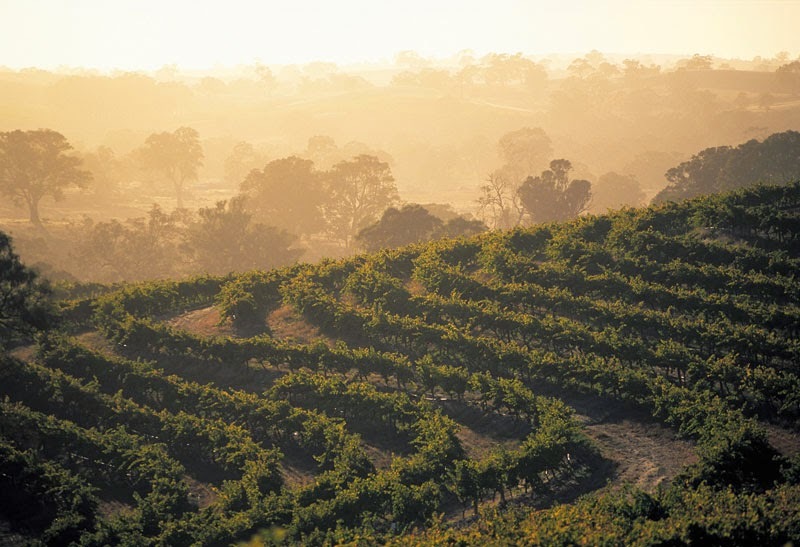 Last year, Caroline and her partner decided to leave Sydney and its media maelstrom and buy a vineyard in the Barossa Valley. 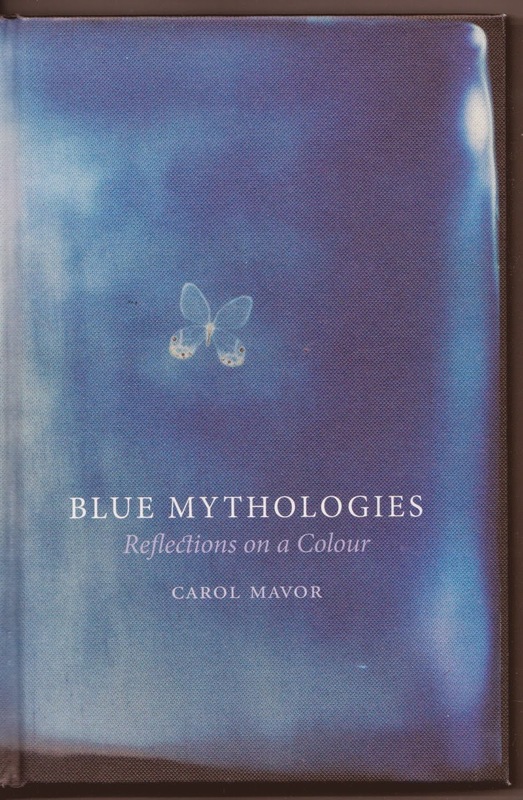 She still wrote, penning sharply observed pieces for The Hoopla, which she'd founded with Wendy Harmer, but her life had changed course and she was clearly content. Her tweets were blissful snippets of a life that many of us wished we also lived. Then came the news: Caroline had contracted leukemia. Even more shocking was the fact that if she hadn't gone to the doctor when she did she would have died by Christmas. Those who knew her sent her emails of support. 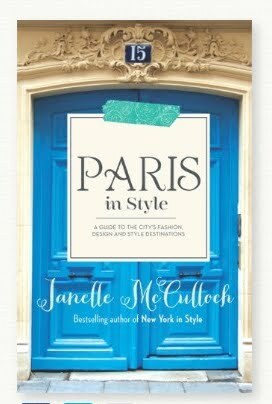 I'd already been in touch earlier that year, encouraging her to write a book. I wanted to write a long letter but I didn't know where to begin. For the first time in my life, I didn't know what to write. 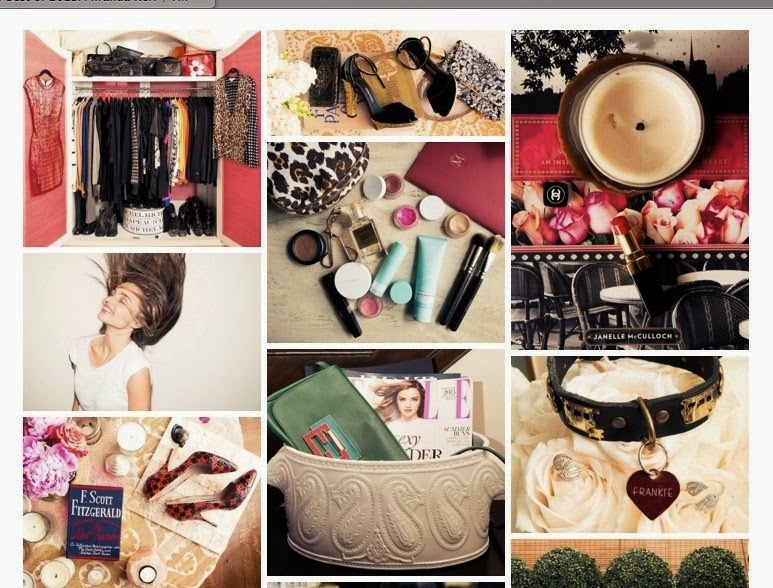 For the past six months, Caroline's partner has kept a blog. It has been heartbreaking to read. There was silence on the blog for a little while and then, last week, the news none of us wanted to read. Caroline had only a few days left to live. So I sat down to write her an email. A letter I should have written 14 years ago. Thanking her for the opportunities she gave me, and telling her Heaven would be fortunate to have her on their editorial team. Hundreds of journalists owe their careers to Caroline Roessler. All those words they've written. All those stories over the years. All those pages, and images, and headlines. All those coverlines, big, small and in between. The legacy that Caroline has left is indeed a lovely legacy to leave. 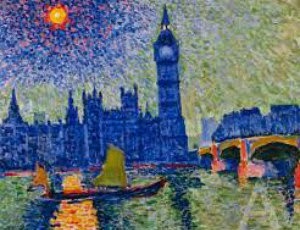 One of the most noticeable things about London during this recent trip was the way art has come to the forefront of society. People seem to be passionate about painting again. And drawing. And watercolours. 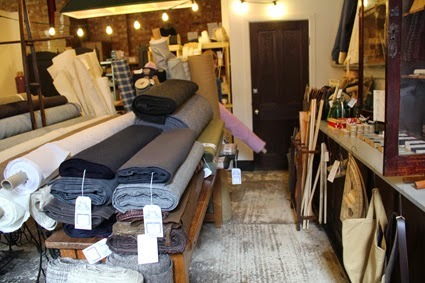 And even fabrics and craft. 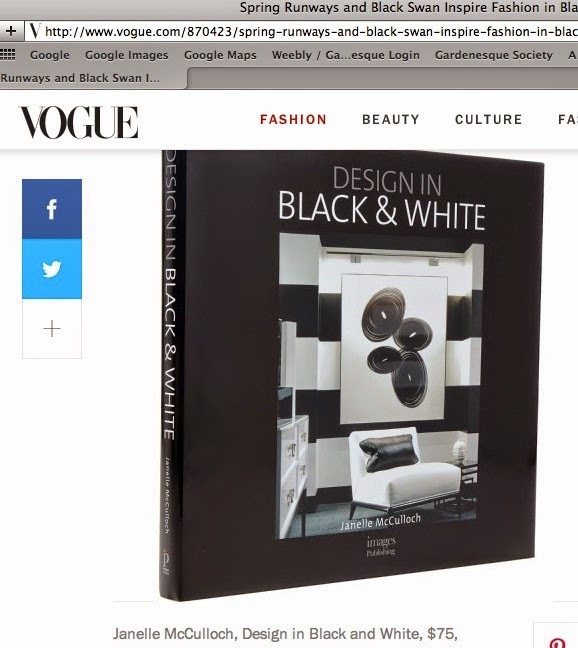 In fact, just about any form of art you care to name was being showcased not only in the major galleries but also in the store windows, hotel foyers, bookstores and boutiques and indeed many of the magazines. It was a full-blown celebration of colour and creativity. Some friends simply dismissed it as an influence of the Royal Academy of Arts, which puts on its annual Summer Exhibition this time each year, but I think it's deeper than that. 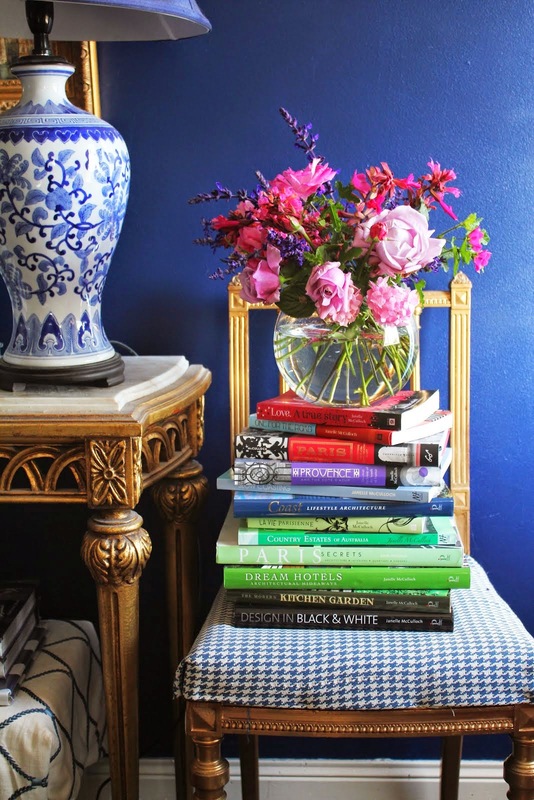 I think people are rediscovering the restorative power of art. 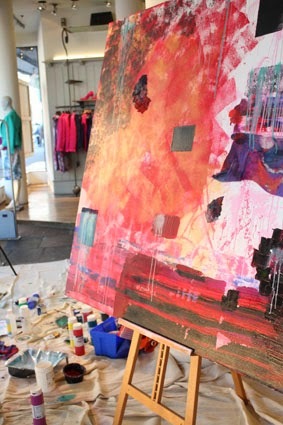 In this high-tech society where everybody's had enough of technology and being connected, art offers a softer, gentler way to communicate and connect, and indeed create. 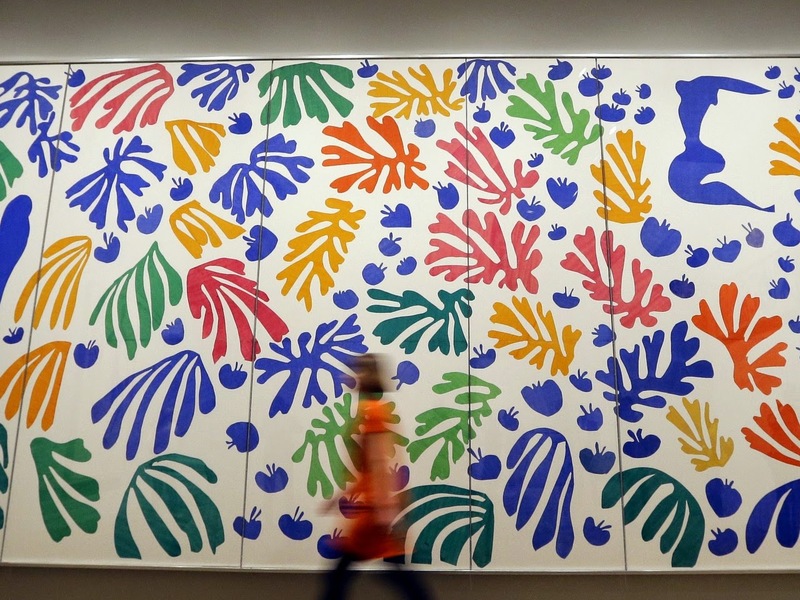 In later life, when Henri Matisse struggled with age and illness, he put down his paintbrushes and picked up scissors instead. This exhibition is a dazzling show of paper cuts – and just as wonderful as any of his canvases. 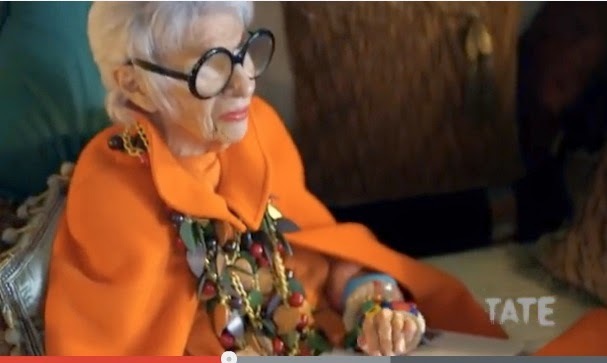 I loved this YouTube video put together by the Tate Gallery in which the eternally stylish octogenarian Iris Apfel shares her love of Matisse and how her style has been inspired by his work. Virginia Woolf may be known more for her writings and her love affairs but this exhibition commemorates her life in paint. 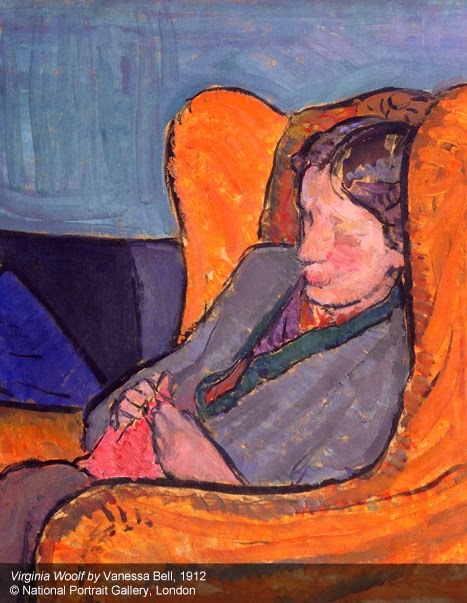 It includes several beautiful portraits of Woolf by her Bloomsbury Group contemporaries Vanessa Bell and Roger Fry. 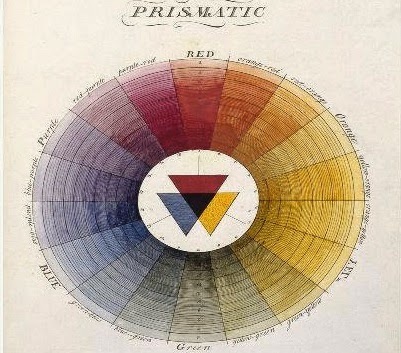 Making Colour is the first exhibition of its kind in the UK, and an ambitious plan by the National Gallery to put together a history of bright hues. From sparkling minerals to crushed insects, the show reveals the surprising materials used to create pigments, and the incredible journeys made by artists in their pursuit of new shades. 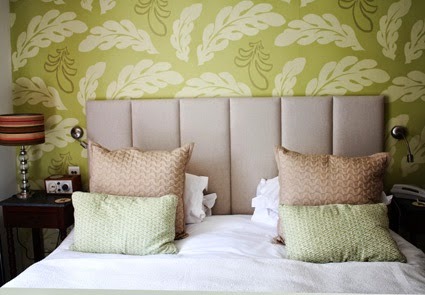 The colour-themed rooms are a joy to enter. Even Jigsaw's stores were joining the paint brigade, with joyful window displays that were covered, quite literally, in paint. This was in the High Street Kensington store. 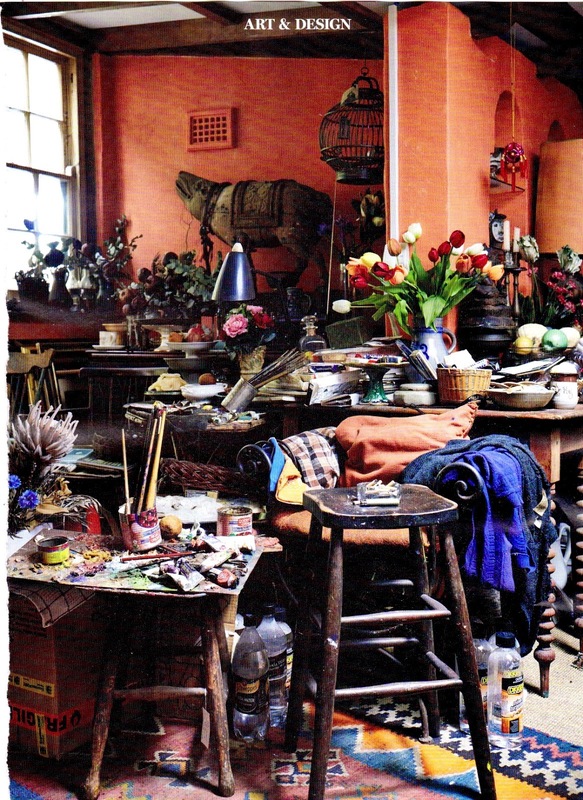 A beautiful feature story on Margaret Olley's reconstructed art studio and home in this month's Vogue Living. If you love both art and architecture, then hop off at Baron's Court tube station next time you're travelling near Earl's Court in London. 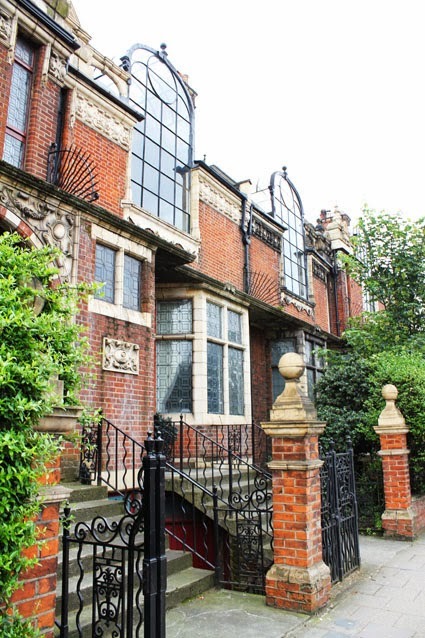 This incredible row of homes was built as art studios for bachelor artists, and their enormous studio windows still stand, as clear and as elegant as the day they were built, even with all the traffic howling past on the A4. It's a part of London that's very much lost in time. The Daily Mail did a great story on the street here. I hope London somehow manages to save this remarkable slice of artistic history. 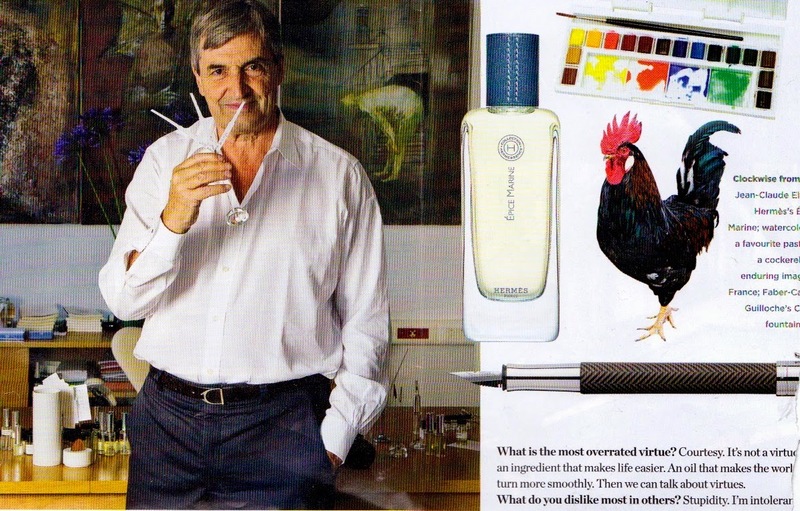 Even Hermès head perfumer Jean-Claude Ravello admitted he loves to watercolour in a recent issue of Sphere magazine. "When I was growing up I wanted to be a painter..."
If you've never seen Jeanne Lanvin's apartment in the Arts Decoratifs Museum in Paris, put it on The List. It's one of the most extraordinary spaces you'll ever see. 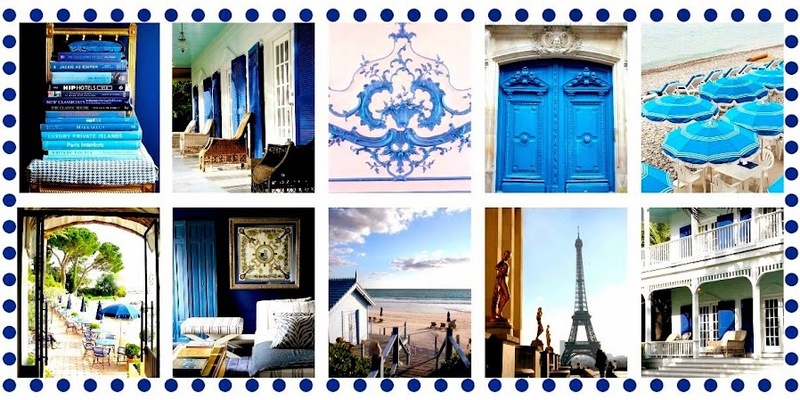 From the leopard toilet seats to the elegant blue boudoir, it's an exquisite display of style, craftsmanship, creativity and colour. 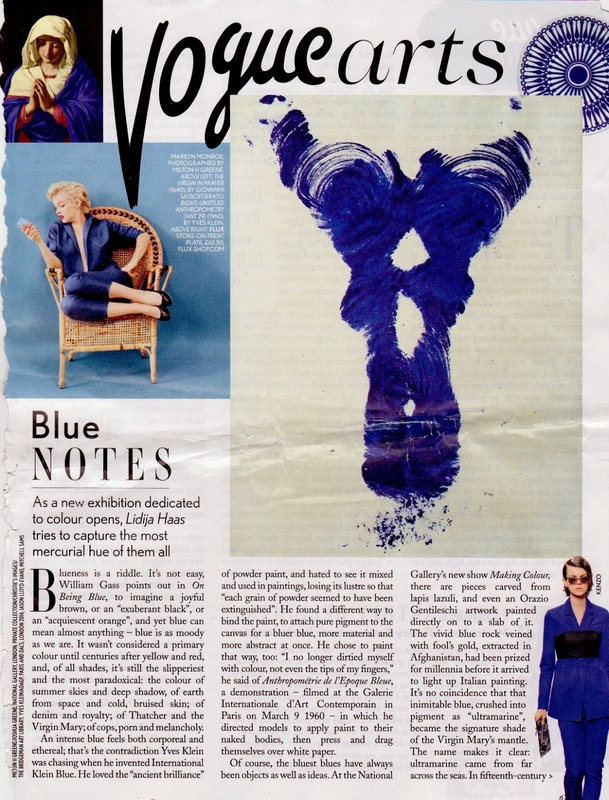 British Vogue channels its inner Yves Klein in tribute to the National Gallery's exhibition. And lastly, while I was in Asia I was greatly saddened to hear of the death of one of my authors while I was a book editor, the legendary Massimo Vignelli. 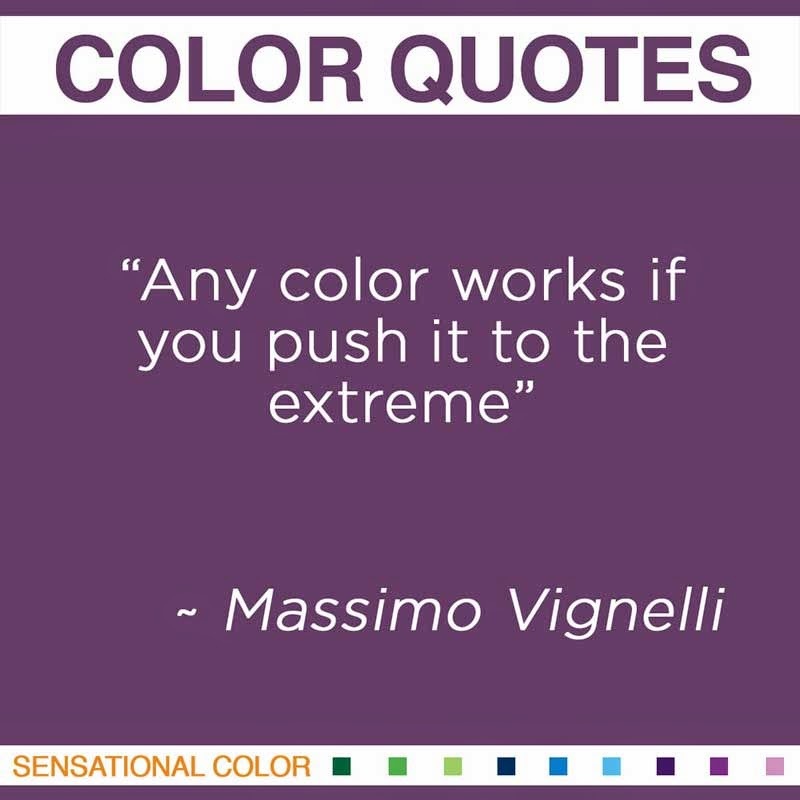 Massimo was not only one of the world's most talented designers, he was also one of the loveliest souls I've ever had the privilege of meeting. We worked on his biography, A–Z together, and when I was heading to New York for work I emailed to see if he was free for lunch? It would be my treat, I added. Of course, he said graciously, and gave me the directions to a famous restaurant called Jean-Georges, at 1 Central Park West. 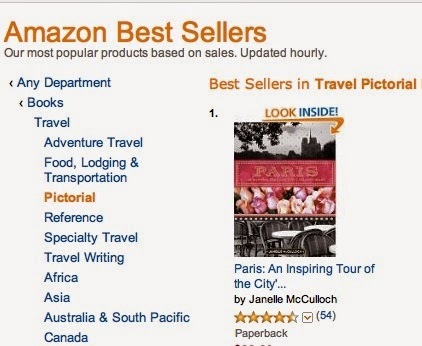 Well, I knew, looking up at Jean-Georges, that was going to cost more than my book editor's salary allowed. We lunched for three hours. I tried not to think of the cost. 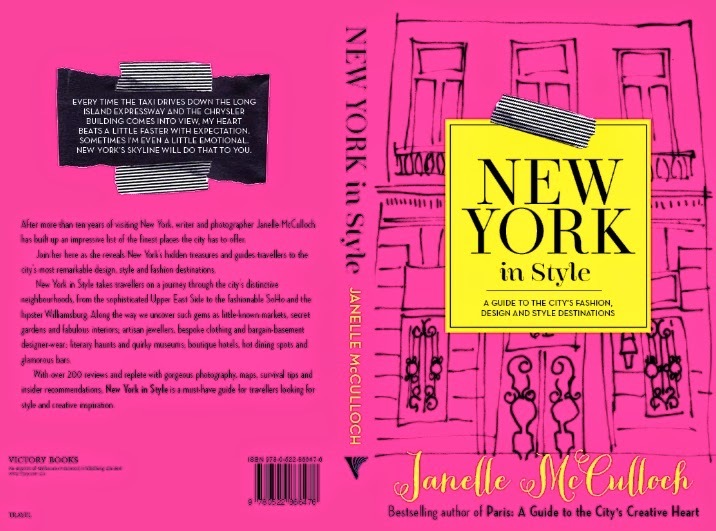 He told me hilarious stories of his life, including the day Jackie O came to see him, and how she tried to seduce him into designing a book for her. (He was nervous because his beautiful wife Leila also worked in their office, and if Jackie's hand kept moving the way it was going, well, he didn't want to be caught doing something he wasn't actually doing!) When mid-afternoon rolled around, he reluctantly made moves to leave. I gulped, thinking of the bill. "Unfortunately, I have to leave you," he said. "I'm being given the keys to New York City this evening." Not of word of this honour during lunch. Humble until the very end. Massimo and his assistant left and when I asked for the bill, the waiter told me he'd already paid. On the way home, I picked up a copy of New York Magazine. Not surprisingly, Massimo's face was on the cover. Massimo and Leila's studio in New York (above) was one of the most extraordinary spaces in the city; just as extraordinary as the design legacy he left. 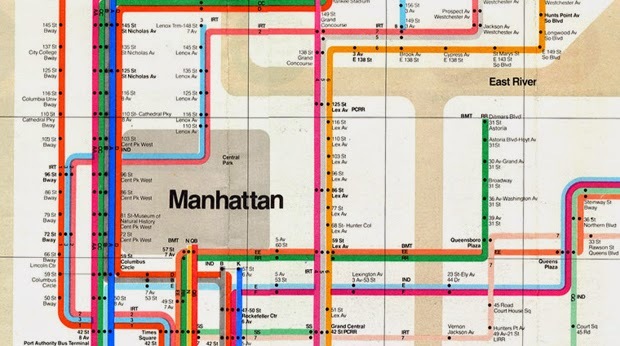 From the iconic New York Subway map (below) to logos and branding for Bloomingdale's (think of the famous bag), Benetton, American Airlines, Ducatti and countless others, Massimo Vignelli's designs will live on in our culture, showing that art really is an integral part of the fabric of our society. Thank you Massimo. You were a joy to work with. 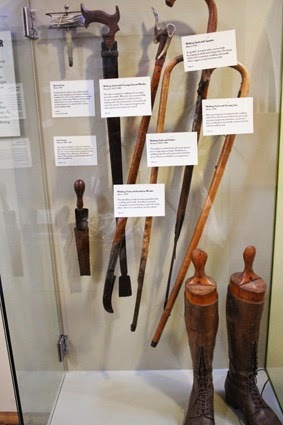 Several friends had suggested The Garden Museum wasn't worth seeing. 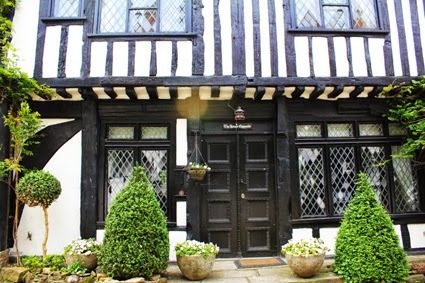 "There's not a lot to it, other than some antique tools and old photos, a garden bookshop, a parterre garden and a cute cafe," said one. Well, that sounded just perfect to me. 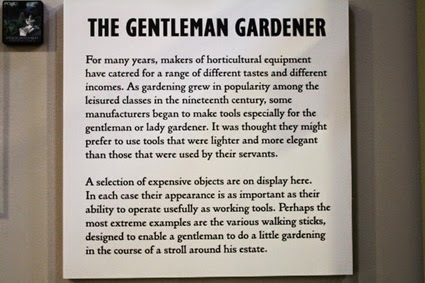 So, against this advice, I headed to the Garden Museum on my last day in London last week. 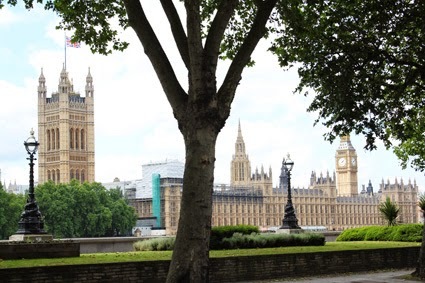 The sun was glistening off the Thames, the Eye was attracting summer queues and Big Ben was chiming happily: it certainly seemed as if South Bank was the place to be. 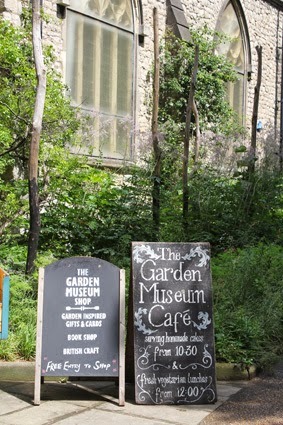 "The Garden Museum?" queried the driver, when I hailed a cab. "That's my favourite place in London!" "Really?" "Oh yeah," he nodded enthusiastically. "It's a fantastic secret. I like to go there when I'm having a bad day. 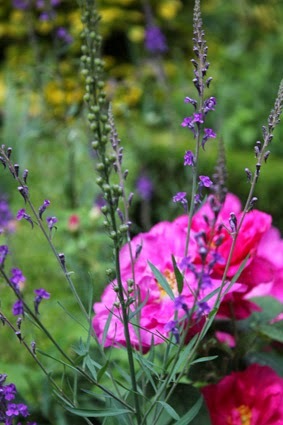 There's a lovely cafe where you can eat your lunch in a garden and it feels like a million miles away." Now London cabbies are some of the savviest in the city so I raised my hopes. 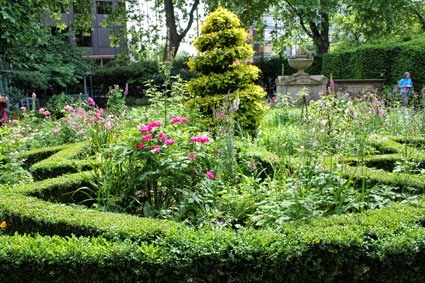 Just after Lambeth Palace Gardens he let me out at a charming little chapel on the riverside. "Just in there," he said nodding cheerily. "You're gonna have a lovely time." And then drove away, leaving me in a part of London I'd never been in all the years I've lived in this city. Inside the chapel, the museum seemed to consist of a bookstore full of garden books, a little cafe, an exhibition of garden embroidery and a desk with three cheery ladies. "Just up the stairs here," replied Cheery Lady Number One. 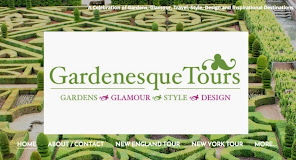 "And don't forget to look at our parterre garden too; it's just come into bloom." 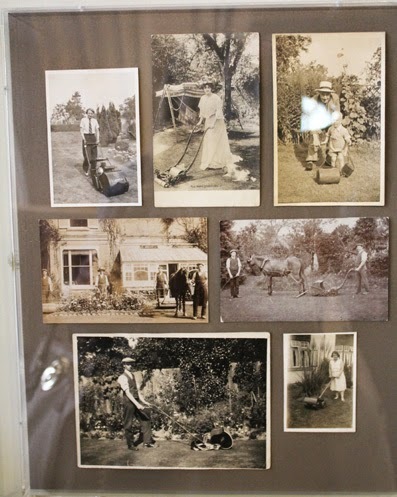 Well the Garden Museum was small, but if you love gardens and the history of gardens, it's absolutely fascinating. 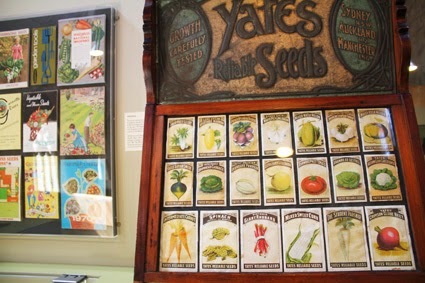 There are antique garden tools (daisy grubbers and other unusual things), photos of gardeners through the decades, and even an authentic old Yates seed dispenser from a department store display. 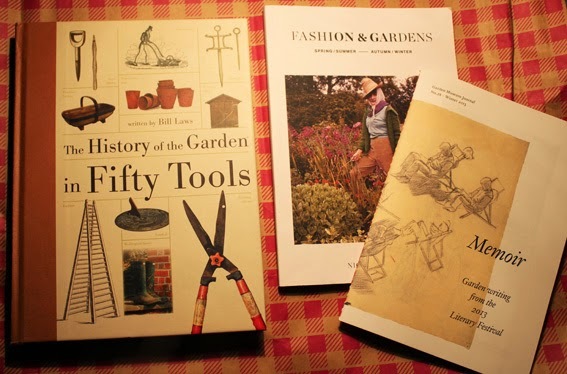 Afterwards, the garden bookshop ws a wonderful place to browse, with vintage and new titles on gardening, and gifts galore. 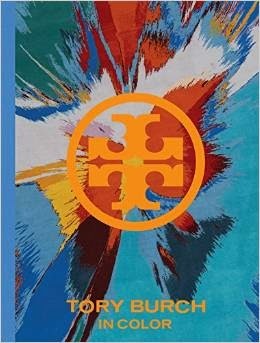 I picked up a copy of the limited edition catalogue of last winter's hugely successful exhibition 'Fashions and Gardens', which was curated by writer and museum trustee Nicola Shulman, wife of the 5th Marquess of Normanby and sister of British Vogue editor Alexandra Shulman (who naturally featured it in a Vogue issue). 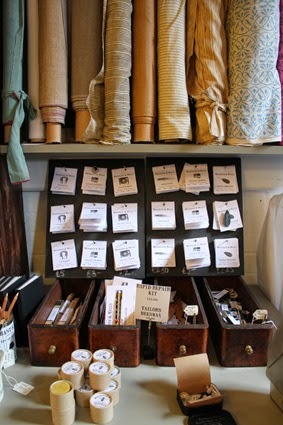 It's a thoughtfully curated bookshop, full of unusual titles and lovely ideas for gifts. 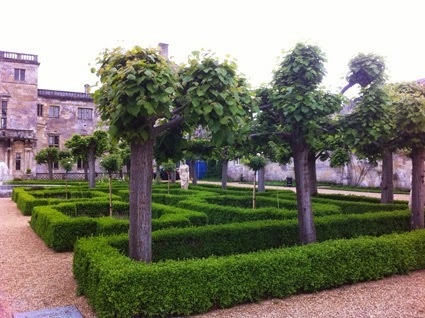 But perhaps the best part of the museum was the rear garden; an idyllic walled haven of flowers and leaves weaved into a pretty green box parterre. You can buy lunch in the cafe and eat it here, or – like the cabbie and I did – munch on your own picnic fare in the shade. 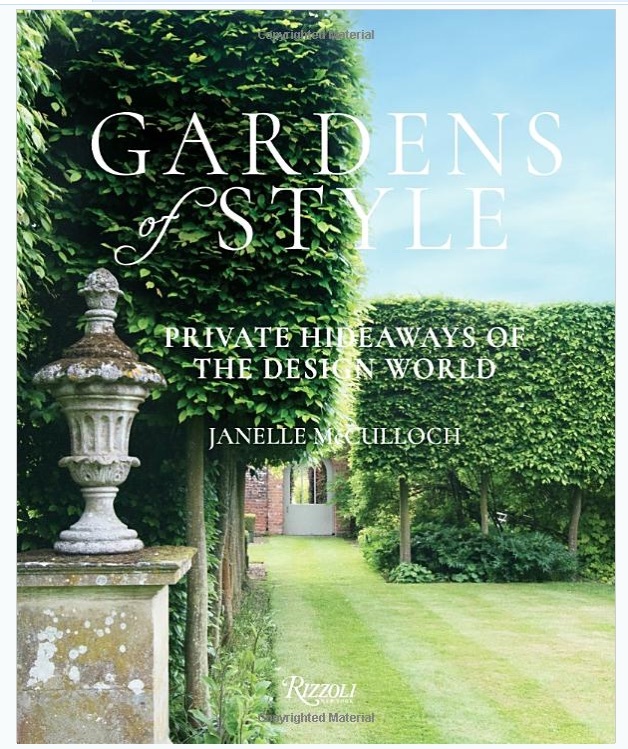 Some readers may be weary of seeing gardens, but I'd like to show you one more before finishing this garden series. 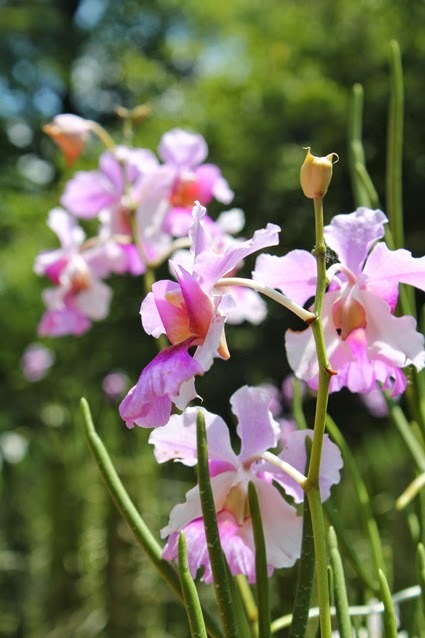 It's an extraordinary garden known as the Orchid Garden, and it's tucked away within the Singapore Botanic Gardens. Many people I know have visited this place on stopovers but I'd never taken the time to do so (and very ashamed of this now, having seen how beautiful it is). I adore orchids but can't seem to grow them very well. They've gone into the 'Too Hard' Horticultural Pile (aka the compost) along with a lovely white Chanelesque camellia and a pink Barbra Streisand rose. (Like her namesake, she only appeared briefly and then retired from public life.) 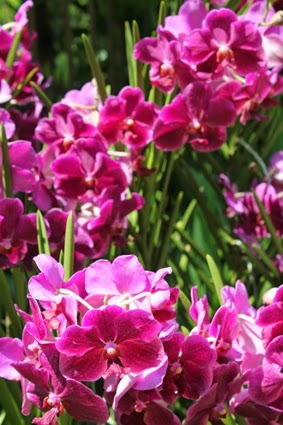 So visiting Singapore's Orchid Garden made me feel very inadequate. That is, until I saw the Singaporean gardeners with trolleys full of orchid pots 'planting' them (pot and all) into the beds and then hiding the pots with moss. Clearly, they have trouble growing some of their orchids too! Or perhaps some grow better in pots? I don't know, and was too shy to ask. 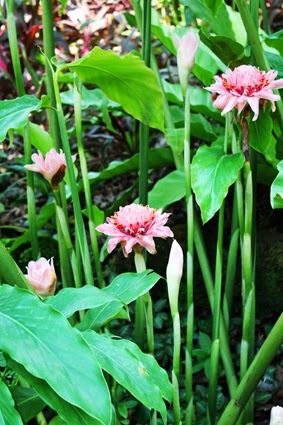 I thought I'd show you few images of this 'garden within a garden' that's hidden away in a corner of the Singapore Botanic Gardens. Singapore may be the world's new financial hub but its astonishing gardens and lush landscaping make it a destination for garden lovers too. 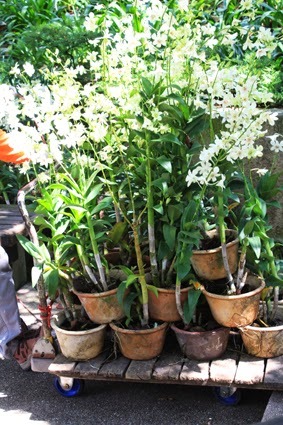 Some of the orchids are grown in vertical gardens, such as this. Just incredible. But what was more incredible was that they stand there under the hot Singaporean sun, day under the day, with no shade, and seem to relish it. 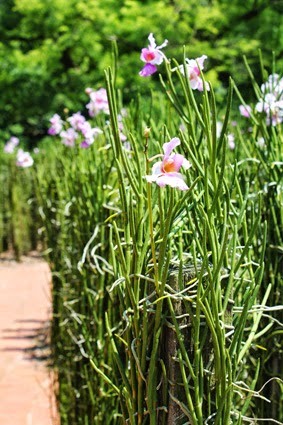 There were hundreds of different kinds of orchids, including many named after prominent people. 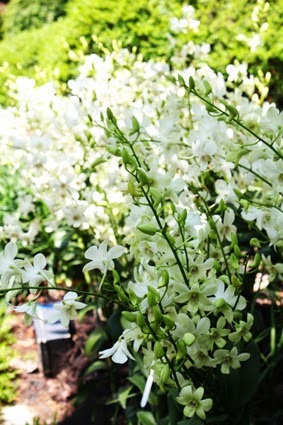 This white one was a favourite with the visiting schoolkids, who dubbed it 'Dad's Shaving Foam Orchid'. The architecture of the Orchid Gardens was lovely too. 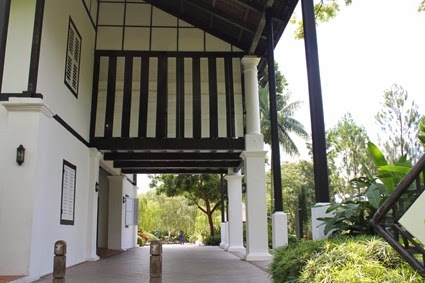 Here's an example of the old black and white colonial architecture that Singapore is famous for, set back into a corner of the garden. 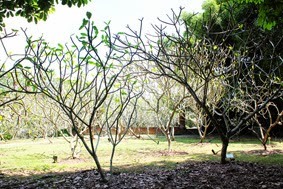 A garden of frangipani trees. 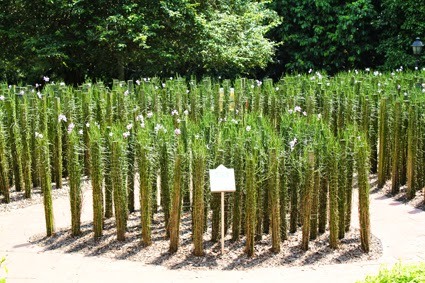 These weren't quite in bloom yet, but the grouping of them, into a copse, was very clever. Free admission. Open 5am – midnight. 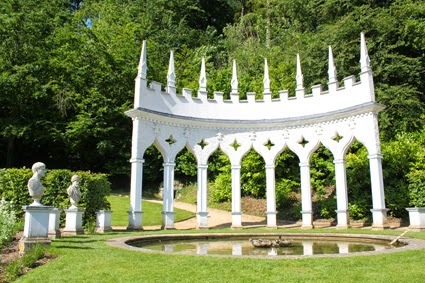 Here are a few sunny snaps from a glorious, garden-filled week in the English countryside – and a few places to put on your Travel List if you plan to come here this year. 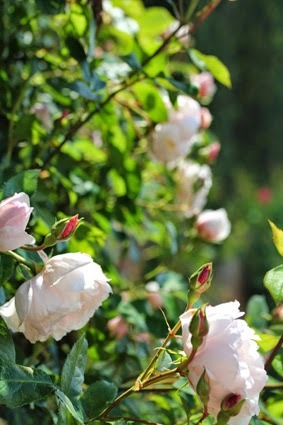 David Austin's Rose Garden in Albrighton: a heavenly haven of scent and petal. 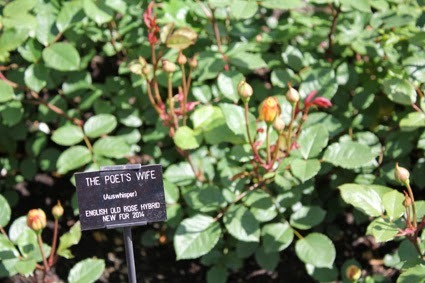 This was the romantically named Poet's Wife, which was one of the new 2014 roses launched at Chelsea this year. 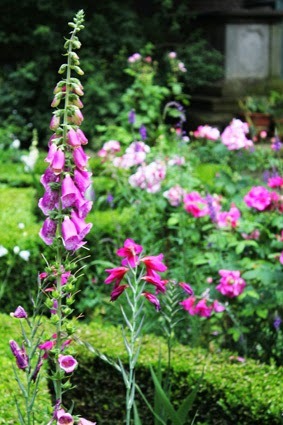 It's a beautiful, beautiful garden, especially in June, although the gardeners said it blooms right through until September. Def one to put on The List. The Cecil Beaton Exhibition currently on show at Salisbury Cathedral's Museum. 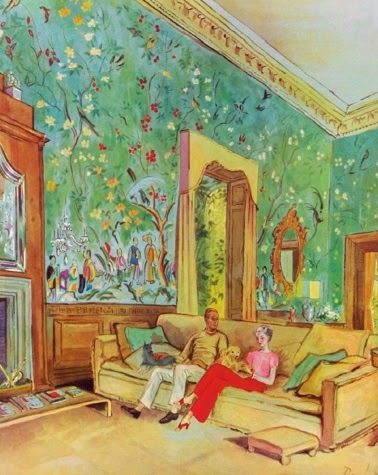 This is one of two Cecil Beaton exhibitions showing at Salisbury; the other, curated by Jasper Conran, is at Wilton House. 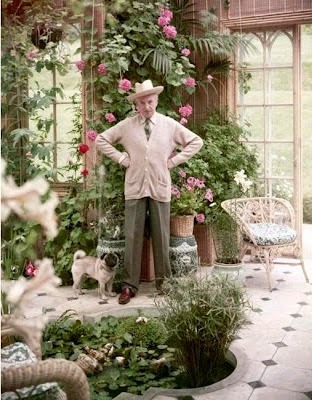 I have to admit that I'm fascinated by Cecil Beaton. Many people dismiss him as a "floozie" (his word) but he was, in fact, an inmensely talented and incredibly hardworking writer, artist, photographer, diarist and designer who tried to live a life that was not only inspirational but original. When he returned from the war (he'd volunteered to be sent there as a photographer), he was – like all war survivors – a remarkably different man. The war changed not only his attitude but also his work. 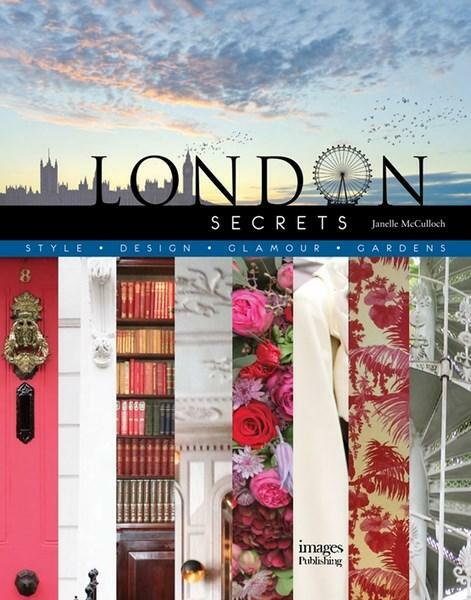 Before, he'd motor down to his country house at breakneck speed, his small Ford hidden under its load of books, birdcages, rugs and boxes of roses from Covent Garden. After the war, he was more contemplative, sombre, considerate. The parties thinned out and the projects became more of a priority. 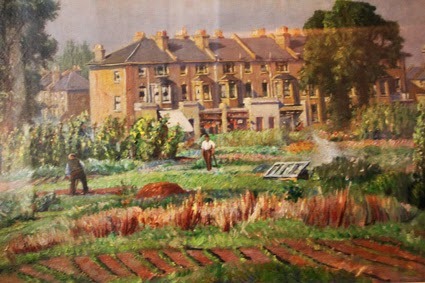 He deeply cherished his friends, his books, his art and his life in the Wiltshire countryside, where these exhibitions are set. 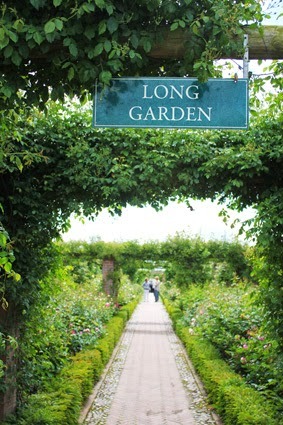 But what he loved most, he always said, was spending time in his garden. If you have time this summer, do try to see one of these exhibitions. (The Salisbury Museum is the better one). It is truly inspirational. Reddish House, one of Cecil's beloved homes. 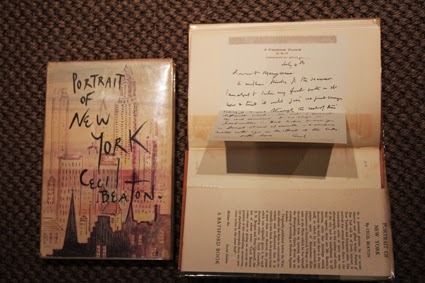 Two first editions signed by Cecil Beaton that I found at Heywood Hill, one of which had a personal letter of CB's hidden in the back. 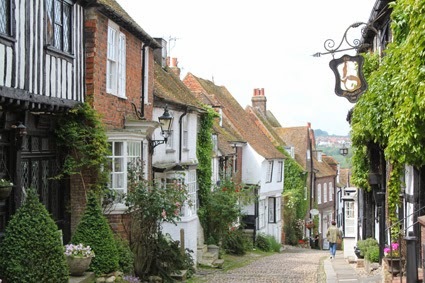 Rye in East Sussex, one of the prettiest towns in England. 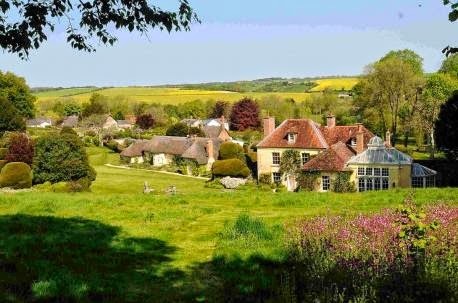 It's by the sea so you can hear the sounds of seagulls and smell the salt, but it also has the feel of other garden-loving villages in Kent and Sussex. No wonder Londoners are flocking here to restore old homes. Even the antique shops were pretty. 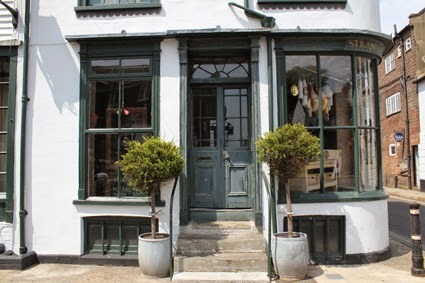 The George hotel and restaurant in Rye. The service and check-in procedures are terrible (so bad, they make Fawlty Towers look like the Georges V Paris), but the rooms are beautiful. 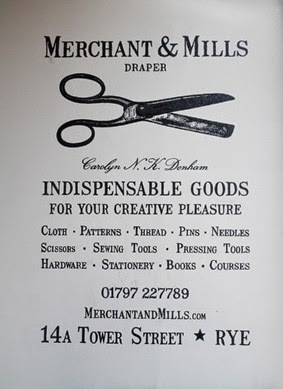 A wonderful and increasingly renowned mercerie called Merchant & Mills in Rye. It's become so popular the owners now ship all over the world. 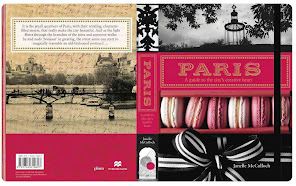 The branding is gorgeous. 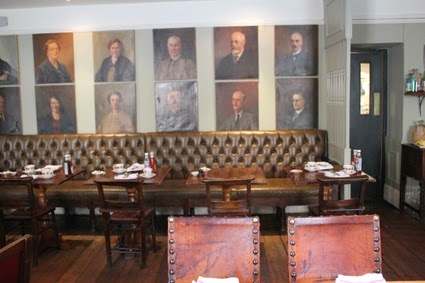 An old favourite, the Wheatsheaf in the Cotswolds. The Wheatsheaf has a glorious beer garden, and uses lots of gardenalia inside the rooms as well, such as these vintage wicker cloches. I stayed so long chatting to people that I ended up staying the night! And the next too. The rooms are wonderfully cheap. 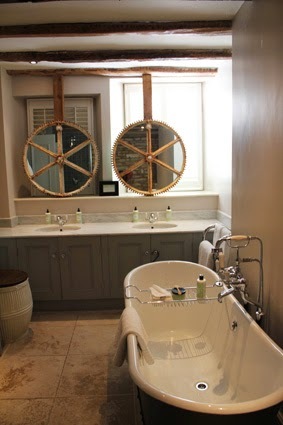 And the bathrooms will make you want to buy a roll-top for your own ensuite. 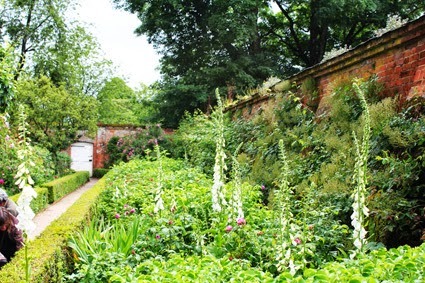 The Most Beautiful Rose Garden in the World?